An off-white pirate style shirt with lace up neckline, ruffled collar and cuffs. This is a unisex shirt and can be worn by either men or women. Available in one size: Adult Standard. Eyepatch, hat, and wig sold separately. Shirt may differ slightly from shown, it is more of a cream colored shirt with black laces. Pirates can be really good like popular Captain Jack Sparrow. Do you just like pirate character for its charm or are you really fascinated with pirate costume? Lets dive in the sea of adventures and have fun with devastating pirate look. Are you really excited for getting a completely new look? You deserve to grab all the attention of ladies in your party. 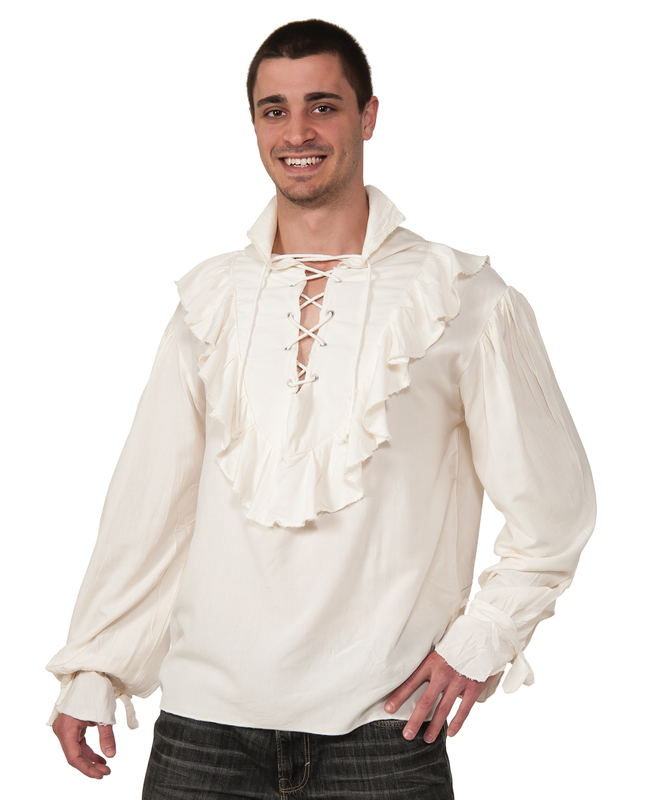 Get dressed in the amazing Fancy White Pirate Shirt Adult costume.